You land up in Leh, the central part of Ladakh by an Indian Airlines place or Jet Airways flight and begin to enjoy the place instantaneously. As it nearly inhabits 50,000 inhabitants, it is located in a small valley lying just to the north of Indus valley. 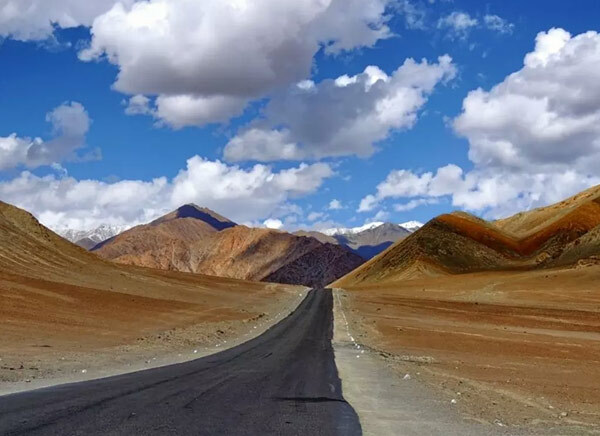 Travelogy India has designed 9 Days Local Leh Ladakh Tour to experience the beautiful Leh Ladakh twists and turns of lush green roads that make the things more than significant and worthwhile. Reach Leh by Indian Airlines/Jet Airways flight. Leh is main Centre of Ladakh. 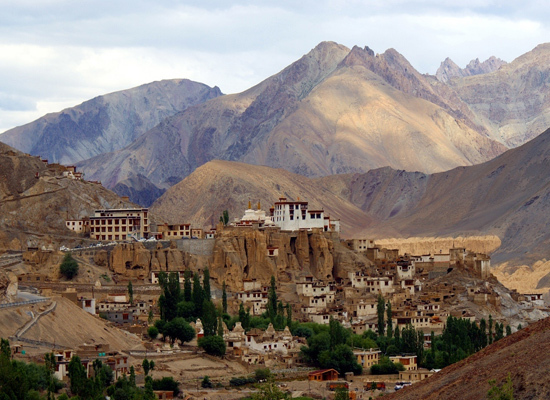 With the inhabitants of 50,000, Leh is located in small valley just the north of Indus valley. The tourists are advised to take complete rest for the proper acclimatization to the high altitude atmosphere. Whole day is dedicated for the local sight seeing of Lamayuru. After exploring villages around the area, it comes as a surprise to find that Lamayuru is a scruffy little place. 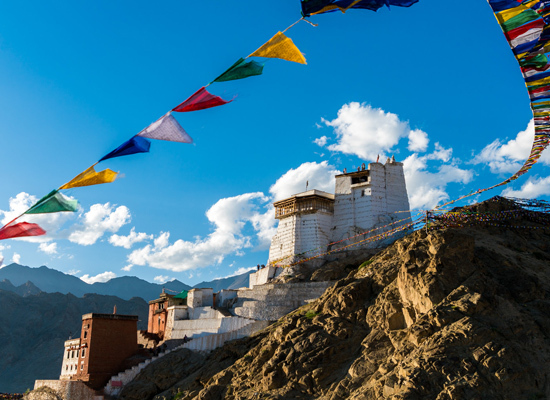 The Lamayuru gompa is the completely overshadowed and most famous spectacular monastery in Ladakh. 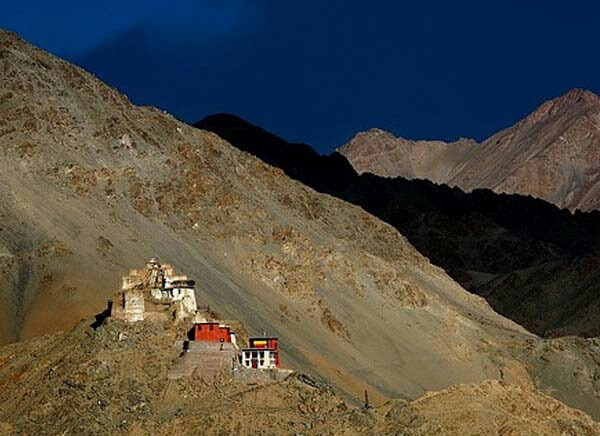 Alchi and Likir Monasteries : These two monasteries are located near Saspol on the Srinagar-Leh road. They house many gigantic clay statue of Buddha in various forms. The primary attraction of these monasteries is however, their 1000-year old wall painting which make a visit more than worthwhile. On the way back sight seeing of Rhizong and Spituk. 7 hours after the night stay at the Ule Tompo, on the way back, the tourists are visiting the few more gompas. About six kms along a steepish, rocky track from the main road is the starts of the area with the nunnery of Julochen and the gompa of Rhizong. The gompa belongs to the Gelukpa. Just before Leh on the Srinagar-Leh road on the hilltop overlooking the Indus, the Spituk monastery boasts not only of some prized tankha, but also a chamber with enormous statue of Kali, whose faces are unveiled but once a year. The chamber contains an ancient collection of face masks too. It is recommended that you visit the monastery on the Puja day. 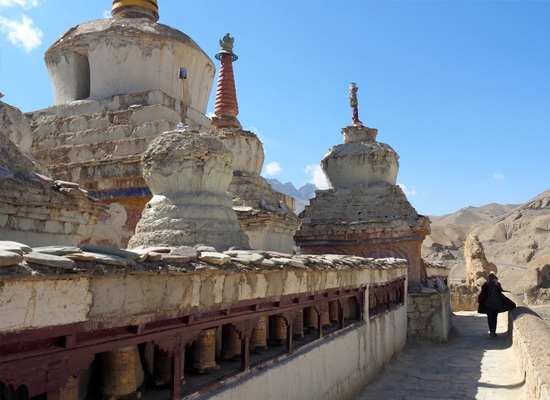 It is 10 kms from Leh and houses of 135 yellow capped monks. In the evening (Ladakhi Dance, Depending upon the strength of group). The whole day is dedicated to the shopping and to discover some interesting things about Ladakhi art and cultural by the visiting the Tibetan refugees camp Choklamsar, Library and Ecological Development etc. Leh Bazaar, Leh Palace and Sankar gompa The women's vegetable market in the afternoon and some interesting place to visit. In the evening Sankar monastery. Leh to Khardung-la top, Two more days will be added if group want to go Nubra valley. The tourists will visit the Khardung-la. It Takes you to the highest motorable road of in the world Khardongla (18,380 feet or 5,578 m). Nubra Valley lies in the north of Leh. Apart from unparalleled trekking opportunities, the valley has several Buddhists monasteries such as Sumor, Tiger and 350 years old Diskit monastery. Fly back to New Delhi by the Indian Airlines or Jet Airways flight and transfer to the hotel in Delhi.